Dell today announced the next generation of its Vostro line of productivity notebooks, offered to meet the unique needs of small businesses, home offices, and mobile professionals. The Vostro 15 3000 Series business notebook offers essential features in a refined design, ideal for small business owners and entrepreneurs who need an affordable device for work. Achievement is powered by the latest Intel processors and the latest discrete graphics from NVIDIA, while the simple and practical design projects style and professionalism. Vostro 15 3000 Series: Made for business. Made for you. The new 15 inch Vostro notebook delivers the right balance of features and performance for working professionals who demand fast processing power, and performance and no-nonsense business features to get their work done. Whether managing operations at a restaurant or freelancing from a home office, workers will maneuver through spreadsheets and presentations with ease, powered by the latest Intel Processors, available up to core i5 (5th generation processors). The Vostro 15 delivers up to 8 hours 42 minutes for everyday mobile productivity. For more demanding graphics-rich applications or uninterrupted multi-tasking, users can opt for discrete graphics from NVIDIA with up to 2GB memory and up to 4GB of high-speed RAM. The new Vostro 3000 Series notebook is less than one inch thin, slimmer than the previous generation for improved portability. The device is available in Solid Black, in EMEA – a micro-stripe textured cover enhances tactility, making the device less prone to scratches from everyday use and commutes. Additional business features help streamline work and enable connectivity, including an optical drive, VGA output, anti-glare FHD display, Gigabit Ethernet, a 10-key numeric pad, and up to 1TB HDD for data storage. 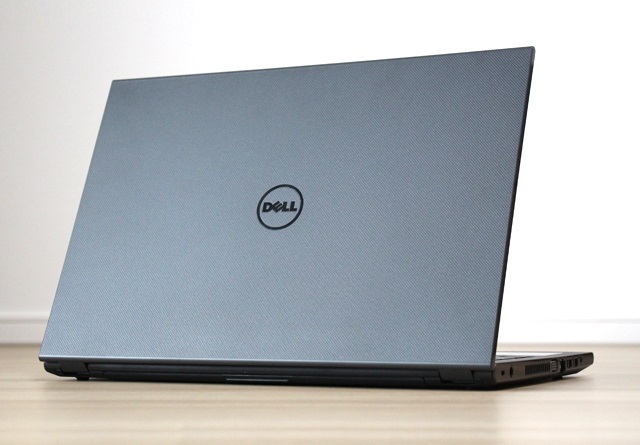 The new Vostro notebook joins Dell’s family of commercial solutions. Dell provides a full product suite to address the needs of any commercial customer, from a start-up housing five employees to a corporation scaling up to 5,000. Knowing that no two businesses are the same, the recently updated Latitude portfolio offers businesses a range of fully-featured, premium mobile solutions to meet their specific needs. Along with providing the connectivity and manageability features vital for today’s mobile workforce, the availability of Dell’s best-in-class Data Protection Solutions means customers can focus squarely on growing their business knowing they are using the most secure and manageable commercial solutions on the market. The latest addition to Dell’s ProSupport Plus offering, ProSupport Plus for PCs and Tablets, is the only complete support service that combines priority access to expert support, accidental damage repair, proactive and predictive monitoring for automatic issue prevention and resolution. When combined with ProSupport Plus for Enterprise, small businesses find a true partner in Dell for managing their end-to-end IT environment. The Vostro 15 3000 Series notebook will be available in Ireland and select countries in Europe, the Middle East and Africa from 5th May 2015.